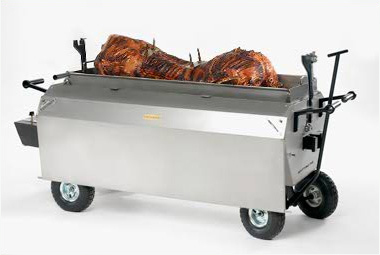 Are you making the most of our hog roasting machines? 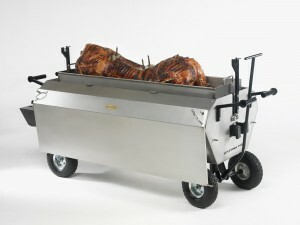 Whether you purchase or hire from us, consider the hog roast kit when carrying out your DIY hog roast in London. 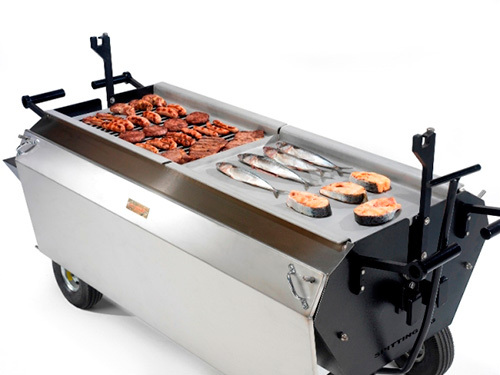 This incredible accessory will give you huge capacity for cooking a range of food products – bringing diversity to the crowds of people you have to delight. You can roast up to a 70kg full hog as well as 80kg worth of other pork cuts or completely different meats – like lamb, chicken, turkey and beef. 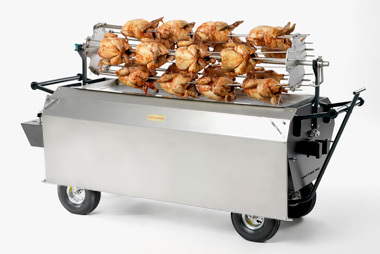 With this machine add-on you can feed over 300 people with ease. 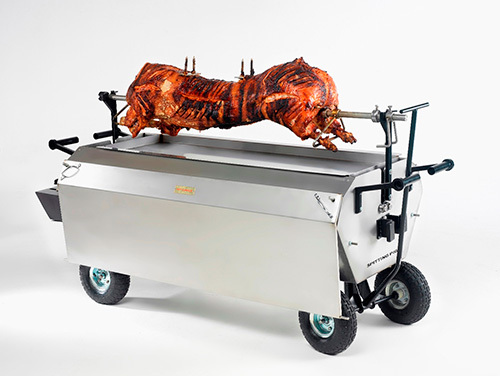 Just like the rest of our hog roasting equipment, the Hog Roast Kit was designed by hog roasting pros. It has been produced to the highest catering standards with ease of use, aesthetics and durability all playing an important part. 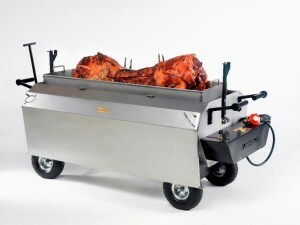 This hog roasting accessory is loved by many of our clients in events catering. It’s really easy to use, even by those who have never roasted a hog in their life! 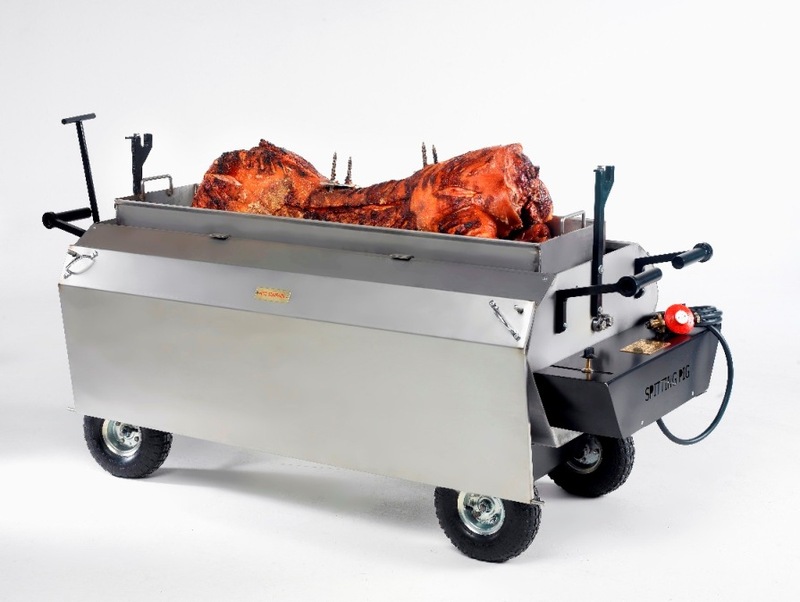 The hog roast kit uses two thermostat gas burners to give you full control over cooking temperature, you can adjust as needed to create that beautiful crackling – yum. At DIY Hog Roast London we have over 50 years in the business! We know exactly what you need to create the best results. Give us a call to discuss our machines or even get some free cooking tips. We’re here to help.